Opening weekend $31,178,000 on 3183 screens. After an eight year absence, Tom Clancy’s character Jack Ryan returned to the silver screen in 2002 with The Sum of All Fears. And he looked a lot younger. In fact, he looked like a whole new man! Between 1994’s Clear and Present Danger and Fears, the Jack Ryan series took a turn. 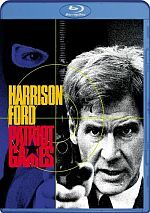 Apparently Harrison Ford – who took on the part in 1992’s Patriot Games after Alec Baldwin played Ryan in 1990’s The Hunt for Red October - didn’t want to return for another adventure. Rather than replace Ford with another actor of his generation, the series’ producers decided to spice up the mix and give us a younger, less experienced Jack Ryan. This landed Ben Affleck in the driver’s seat. Overall, I applaud the change. Rather than just shovel out the same old thing, this character alteration allows for a myriad of new situations and experiences. However, I must say that the first iteration of the younger Ryan seems only sporadically successful. While generally entertaining, The Sum of All Fears doesn’t do much to break free from the mold. We start with a short flashback to 1973. An Israeli pilot gets shot down over Syria, and in the crash, a nuclear bomb becomes lost. Move forward to 2002 and we watch as locals finally discover the weapon. A shady character named Olson (Colm Feore) buys the bomb on the cheap from the naïve villagers and he resells it to neo-Nazi Dressler (Alan Bates). The latter schemes to get the US and Russia to fight each other so his ilk can swoop in during the ensuing chaos. Part of this plan involves the bomb; he’ll have it explode in the US in such a way that its authorities will naturally blame the Russkies. In the meantime, we meet young CIA consultant Jack Ryan (Affleck). 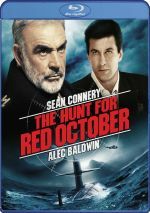 Assigned to the Russian affairs department, he becomes a valuable resource after the death of that country’s president. Ryan wrote a research paper on new President Nemerov (Ciaran Hinds) so that makes him the organization’s prime authority on the guy. Ryan accompanies director Bill Cabot (Morgan Freeman) on a nuclear arsenal inspection, during which he meets Nemerov. The plot thickens when Ryan notices some missing nuclear scientists; together that trio knows how to build a bomb. Soon some organization launches chemical weapon attacks on Chechnya, and the US assumes the Russians were responsible. Ryan argues otherwise, but when Nemerov accepts the blame – incorrectly, we quickly learn – Jack loses some stock in the company. As the tensions rise, he continues to argue that Nemerov wouldn’t perform the acts others want to pin on him, and eventually Ryan needs to race against time to prove his points and avert a full-blown confrontation between the two super-powers. Frankly, that isn’t exactly an original plot, and little about Fears creates a sense of novelty or inventiveness. We’ve seen this kind of “doomsday approaching” pieces many times in the past, and I can’t find anything particularly creative on display in this one. That said, the movie functions nicely due to a high level of professionalism. It features an excellent cast from top to bottom. I’ve always liked Affleck, and although he doesn’t seem genuinely comfortable in the role just yet – Ford’s shoes are tough to fill – he acquits himself reasonably well. If he fails to deliver a memorable performance, he also does nothing to harm the film. Occasionally Fears alters the traditional formula, but it inevitably leads to a ticking clock situation in which our hero needs to work quickly to avert World War III. Despite the predictability of the situations, the movie manages to seem reasonably exciting. It provides a professional affair that never quite shines, but it does enough well to maintain interest. The Sum of All Fears appears in an aspect ratio of approximately 2.35:1 on this Blu-ray Disc. A real mixed bag, the image veered from attractive to problematic. Various digital shenanigans caused the problems. Exteriors or brightly-lit shots came across well and demonstrated nice clarity, but interiors or darker images demonstrated the side effects from various techniques. Noise reduction left the elements as blurry and smeared at times, and notable edge haloes also reduced detail. No issues with jaggies or shimmering occurred, but I saw a handful of specks. Colors varied due to the production design. During the film’s first half, they took on a natural and warm tint for the most part, and they seemed distinct and vivid. For story reasons, the movie used a stark palette during its second half. The image became veered toward a blue tint much of the time; the movie continued to display appropriate tones, however. Black levels consistently came across as deep and rich, while shadow detail appeared dark but not too thick. Without all the edge haloes and noise reduction, this would’ve been a nice presentation, but the tampering left it as an inconsistent “C+”. Although not a reference piece of work, the Dolby TrueHD 5.1 soundtrack of The Sum of All Fears offered a strong presentation. Actually, like the color saturation of the film, the soundfield also changed as the movie progressed. During its first half, the audio demonstrated an emphasis on the front speakers. Even during scenes that lend themselves to surround usage – such as rainstorms – the sound stayed pretty well established in the forward realm. This changed midway through the movie, and the soundfield definitely opened up at that time. From the football game on, the track displayed a lively presence, as helicopters, other vehicles, and a mix of different elements added greater activity to the piece. The film’s second half provided the kind of punchy soundfield I expected from this sort of flick. Audio quality appeared consistently positive. Speech remained natural and warm, with no issues related to edginess or intelligibility. Music sounded clean and distinct, and the score also boasted nice range and punch. Effects provided the track’s most prominent elements, especially during the more active second half of the movie. They always appeared clear and accurate, and the louder elements came across as deep and powerful. The movie featured solid bass response across the board. This became a nice auditory presentation. How did the Blu-ray compare to the original 2002 DVD? Audio was more dynamic, and visuals seemed tighter and better defined. Even with the flaws that marred the image, it still marked an upgrade over the DVD. The Blu-ray replicates the DVD’s extras, and we begin with two separate audio commentaries. The first comes from director Phil Alden Robinson and director of photography John Lindley, both of whom sat together from this running, screen-specific piece. The track emphasizes technical elements, which makes it somewhat dry at times. Actually, the program starts slowly, and the discussion during the film’s first act comes across as fairly dull; we learn about sets, locations, and lighting but not much else. Matters pick up after a while, though. While the commentary never becomes terribly lively, Robinson and Lindley provide more interesting material as they move through the film. They get into some of the elements that caused them problems and also relate a few storytelling challenges. The details still tend toward the technical side, but the presentation seems more engaging. Occasional empty spots appear but these don’t overwhelm the presentation. Overall, the first commentary is a fairly average affair. Next we get a track that features Robinson with author Tom Clancy, both of whom also were recorded together for this running, screen-specific track. A lot of commentaries sound good on paper but end up being dull, and I worried that might happen here. Happily, that didn’t occur. While not an outstanding piece, this track provides a good listen. Robinson occasionally covers ground that he discussed in the other commentary, but mostly he gives us unique information, and the presence of Clancy enlivens matters. The author seems refreshingly blunt, and he often tells us what aspects of the movie seem unrealistic. 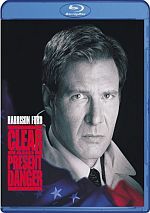 For his part, Robinson reveals why the filmmakers occasionally compromised those elements, and also asks Clancy for his take on different parts. As with the first commentary, this one suffers from a few too many empty spots, and I would have liked to learn more about differences between the book and the movie. Clancy hints that the two share little in common, but since I never read the novel, I’d like more details. Nonetheless, this track offers a brisk and entertaining affair. After this we move to some featurettes. A Cautionary Tale splits into two areas. “Casting” lasts 12 minutes and 55 seconds and mixes behind the scenes shots, movie clips, and interviews with director Phil Alden Robinson, screenwriter Daniel Pyne, producer Mace Neufeld, and actors Ben Affleck, Live Schreiber, Bridget Moynahan, James Cromwell, Morgan Freeman, Ciaran Hinds and Alan Bates. We get some basic notes about how the actors came to the film and also their work on the set, but the piece also includes a lot of basic praise about everybody. The program includes a modicum of useful material but it seems too fluffy. “Production” runs 17 minutes and follows the same framework as “Casting”. It includes interviews with producer Mace Neufeld, director Phil Alden Robinson, cinematographer John Lindley, screenwriter Daniel Pyne, actors Morgan Freeman, Ben Affleck, Alan Bates, Bridget Moynahan, James Cromwell and Liev Schreiber, and CIA public affairs officer Chase Brandon. “Production” packs a lot of good information into its brief running time. It covers the adaptation of the novel, the reworking of the franchise to accommodate Affleck’s age, reactions to the film in the post-September 11 world, and a number of production anecdotes. Overall, it goes through a lot of topics in a quick and interesting manner. In addition to the film’s trailer, we get Visual Effects, which breaks into five subdomains. Each one examines a specific element of the movie” “Carrier Attack” (eight minutes, 39 seconds), “A-4” (6:24), “Hospital” (3:54), “Motorcade” (3:56), and “Helicopter” (4:53). The presentation includes production materials and behind the scenes shots, movie clips, and interviews with visual effects supervisor Glenn Neufeld, miniature modelmaker Carlyle Livingston II, miniature pyrotechnics John Cazin, cinematographer John Lindley, aerial coordinator Craig Hosking, CG supervisor Mike O’Neal, and visual effects supervisor Derek Spears. Though some of the material seems a little dry, for the most part the presentation enlivens the topic and makes these featurettes nicely engaging. As a nice touch, each segment ends with the completed footage for the scene just discussed. The behind the scenes work meshes well with the interviews to make this an informative and compelling series of pieces. 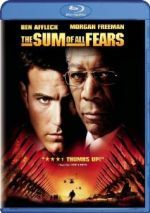 While I don’t think The Sum of All Fears does much that seems particularly original or compelling, it offers a reasonably involving action flick that works acceptably well as a whole. Nothing in it stands out as terribly memorable, but it creates a fairly exciting piece that I enjoyed for the most part. The Blu-ray came with good audio and bonus materials but visuals suffered from too much interference and could be bland and smeared. This is the best version of the movie on video but it’s not as strong as it should be.